Cornell Museum and all we met at Delray Beach pulled out all the stops and we were greeted and welcomed with the type of greeting extended to long lost friends. 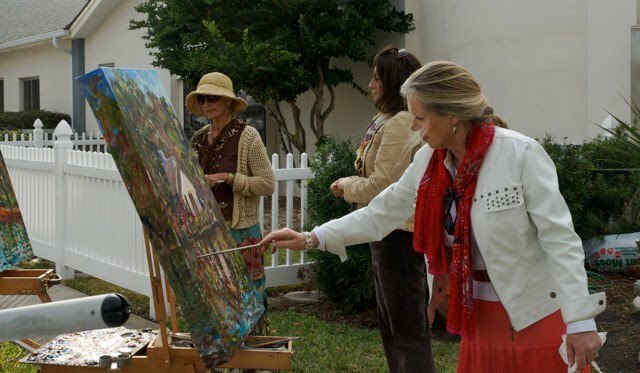 Thursday February 26th, we set up our French easels and commenced painting a trip tych of Cornell Museum of Art and Armerican Culture, loated on Atlantic Drive, Delray Beach. The light and shadows were perfect. Painting en plein aire always brings surprises and when we arrived, the trucks, tractors and workers were re-sodding the half acre lawns surrounding Cornell Museum (the previous week brought thousands of people to the annual Garlic Festival- each year follwing this festival the lawn must undergo re-sodding). Within one hour, PBS arrived to film us for an upcoming show. The camera man and interviewer both named John were very professional and worked around us as we painted. At 5.30 the official opening of Save Our Cottages opened and welcomed over one hundred visitors and members. Save Our Cottages occupies the two upper floors and the atrium of Cornell Museum. 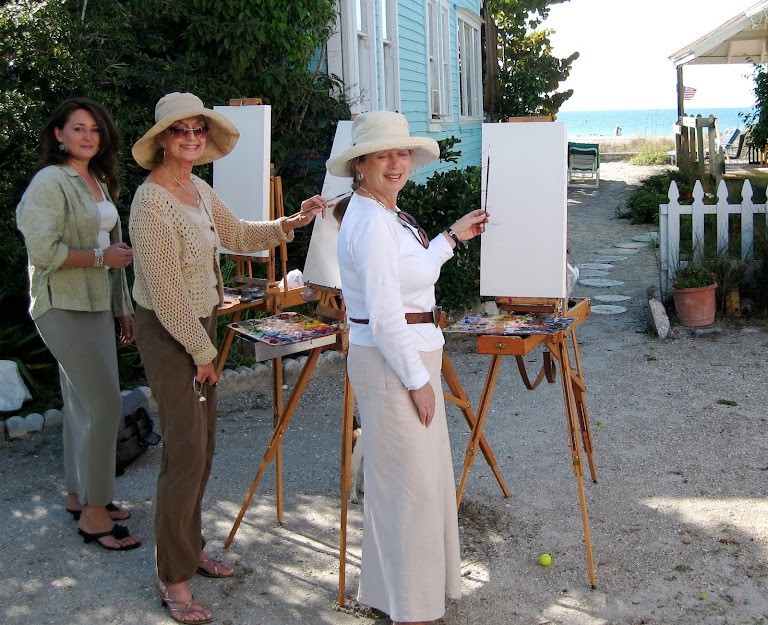 Large windows and spotlights throw light on our paintings. Delicious nibblies and wine were served. The show continues until June 15th 2009. Should you be at Delray Beach, please visit this awesome museum.